September is the month of new beginnings. Autumn is fast approaching and a look at my twitter feed indicates that winemakers are incredibly busy with their harvests as they start work on their new vintages. The signs of autumn are visible everywhere as the leaves start to fall off trees, the mornings become crisper and on some days a thin fog greets you as soon as you look out of the window or exit the front door. But still winter seems far away, the day is still relatively long and while we have had our fair share of white wines over the summer months, we still have the time to drink some whites particularly on the weekends as we pair them with fish dishes. 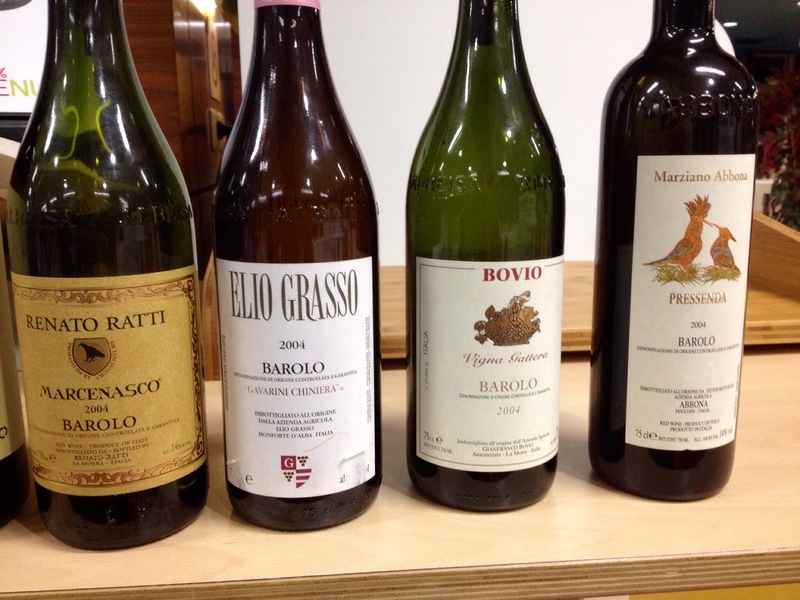 In September, I also had the opportunity to go for a tasting of 2004 Barolo. Now 2004 is considered to be an excellent year for the ‘king’ of Italian wines. We tried eight bottles during the tasting, all of which were excellent. As in every wine tasting, there were some wines which shone. What was however surprising was how young these wines still were (10 years old already). Even the simplest Barolo we tried, the M. Abbona from Monforte d’Alba, which was probably the least famous producer of the wines we tasted had surprising freshness. So here are a few of the wines which we particularly enjoyed in September. Champagne Jean Milan Brut Special: A small but interesting champagne house from Oger. This 100% chardonnay champagne is a blend of the fine 2009 and 2010 vintages and is produced in the Jean Milan family tradition which has been making champagne for five generations since 1854. Aged for around 3 years in their old cellars, it is a mature champagne with great citrus aromas. It was excellent as an aperitif. Meridiana Astrarte 2012: This summer we have tried our fair share of Vermentino. This is one from my home country. Not as acidic as its Ligurian or Sardinian counterparts which I really like, it still surprised me with its acidity as well as crisp finish. Great on the nose, this was an excellent wine which worked excellently with a spaghetti with sea urchins which I prepared at home. Worth trying. Rieffel Riesling Brandluft 2012: I tried this wine paired with a tuna tartare and it worked incredibly well. This is a splendid Riesling with its pure lime character which is so typical of Alsace. It was intense on the nose and also has a sea saltiness to it which comes from its minerality. It was impressively good. Domaine Alpha Syrah Xinomavro Merlot 2009: I have tried wines from this Greek winery before and was particularly impressed by their Xinomavro. But this blend is surprisingly good. It was powerful with nice aromas of red fruits and vanilla which come from ageing in oak barrels. It is full bodied and despite its high acidity, it still had a good balance though it still has ageing potential. One of my favourite Greek wineries. Barolo Schiavenza Broglio Riserva 2004: My favourite Barolo from the tasting I mentioned above, this is a wine which can probably age for many years. Aged in Slavonia oak barrels of 20-40 Hl for 3 years, this wine was splendid on the nose with your typical Barolo aromas. This wine is still too young and has a lot of tannins but opened a good one and a half hours before, it became approachable. This is one to buy if you can still find it. Barolo Bartolo Mascarello 2004: A cult wine, this again showed Barolo’s ageing potential although it is already drinking very well. Not an easy wine to find, this winery became famous when its owner who died in 2005. He is famous for continuing to use the old traditions of making Barolo. The producer deplored the shift from large Slavonian casks to French oak barriques in the Barolo region. He became famous for creating a special hand painted label ‘No Barrique No Berlusconi’ label. This has become a collectors item. His daughter continues to produce 20,000 bottles from four estate vineyards but does not market the wines or has a website.